How tall is Hayden Christensen? 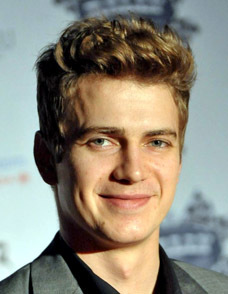 Hayden Christensen was born in Vancouver, British Columbia, Canada (April 19, 1981). His mother is a speechwriter, Alie and father is a computer programmer, David. He has three siblings. Christensen’s acting career began on the TV series ‘Family Passions’ in 1993. His first film with minor role was with ‘In the Mouth of Madness’ as Paper Boy in 1994. His first major role came with the film ‘Life as a House’ as Sam Monroe in 2001. His fame increased with the film ‘Star Wars: Episode II – Attack of the Clones’ as Anakin Skywalker in 2002. He played as leading role for the first time in the film ‘Shattered Glass’ in 2003. Takers (2010) with Chris Brown, Idris Elba, T.I. Actress Rachel Bilson is his girlfriend from 2007.